It’s been relatively quiet in the last few weeks on the “the Russians did it, and Trump’s Putin’s best-buddy” propaganda-fest, but it appears the Deep State had three stories tonight – just hours ahead of Trump’s face-to-face with Putin – claim Russian hackers are targeting US nuclear facilities, the Russians are nonchalantly stepping up their spying, and that Russia alone interfered with the US election. 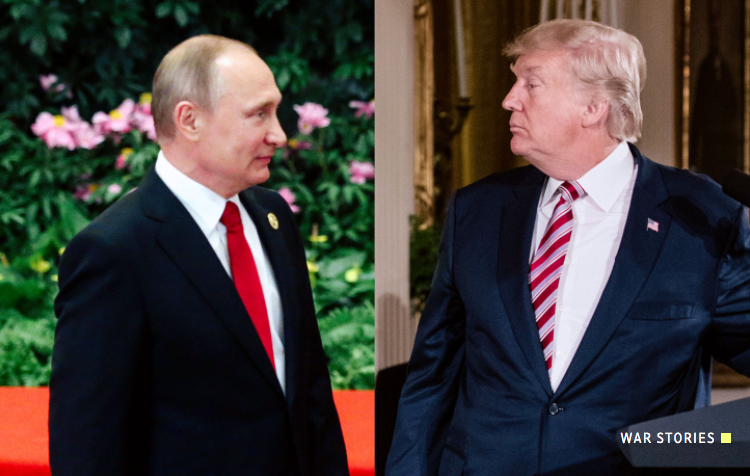 With all eyes on the ‘handshake’ as Putin and Trump come face-to-face for the first time as world leaders, it seems the Deep State is desperately fearful of some rapprochement, crushing the need for NATO, and destroying the excuses for massive, unprecedented military-industrial complex spending. And so, three stories (2 anonymously sourced and one with no facts behind it) in The New York Times (who recently retracted their “17 intelligence agencies” lie) and CNN (where do we start with these guys? let’s just go with full retraction of an anonymously sourced lie about Scaramucci and Kushner and the Russians) should stir up enough angst to ensure the meeting is at best awkward and at worst a lose-lose for Trump (at least in the eyes of the media). First off we have the ‘news’ that hackers have reportedly been breaking into computer networks of companies operating United States nuclear power stations, energy facilities and manufacturing plants, according to a new report by The New York Times. The origins of the hackers are not known. But the report indicated that an “advanced persistent threat” actorwas responsible, which is the language security specialists often use to describe hackers backed by governments. So that’s that 5 people – who know something – suspect it was the Russians that are hacking US nuclear facilities (but there’s no proof). Next we move to CNN who claim a ‘current and former U.S. intelligence officials’ told them that Russian spies have been stepping up their intelligence gathering efforts in the U.S. since the election, feeling emboldened by the lack of significant U.S. response to Russian election meddling. “The concerning point with Russia is the volume of people that are coming to the US. They have a lot more intelligence officers in the US” compared to what they have in other countries, one of the former intelligence officials says. So that’s more anonymous sourcing about Russian spies… doing what they would normally do during a presidential transition. “We saw no evidence whatsoever that [there] was anyone involved in this other than the Russians,” he said. Clapper’s comments draw a contrast from Trump, who declined earlier Thursday to single out Russia for interference in the 2016 White House race.